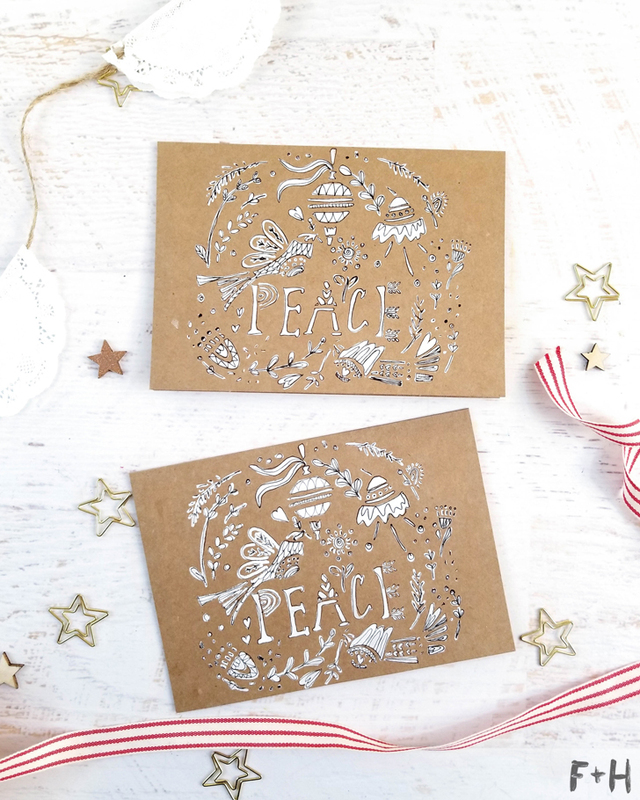 Folk Art Holiday Cards Made Two Ways with StencilGirl! 3) I have kids and family, and life is hella busy already in December with dinners, Christmas parties, concerts, activities, you name it. Because December is insane, if I can make it easier by doing stuff ahead of time, I am all for it. 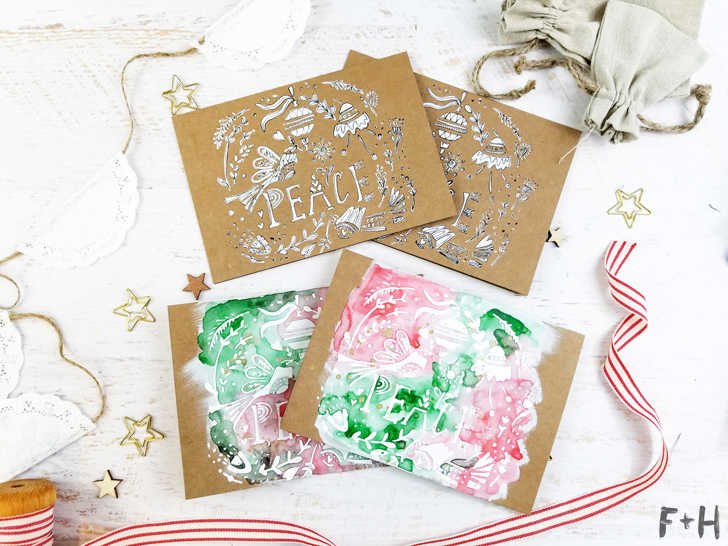 So, as part of a really festive blog hop with the other StencilGirl team members, I’ve got these easy folk art holiday cards that can be made in an afternoon with just a few supplies like gesso , watercolors and embossing powder . I usually send them out at the start of December, and a few years ago I started making my holiday cards instead of the usual printed photo cards. 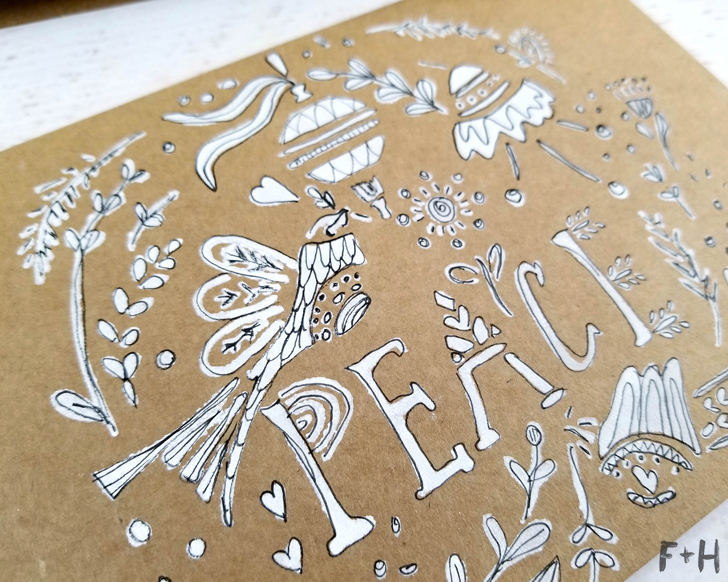 They are always well received, and I think people enjoy getting a handmade card in the mail during the holidays! Most of all though, I just really enjoy making them! 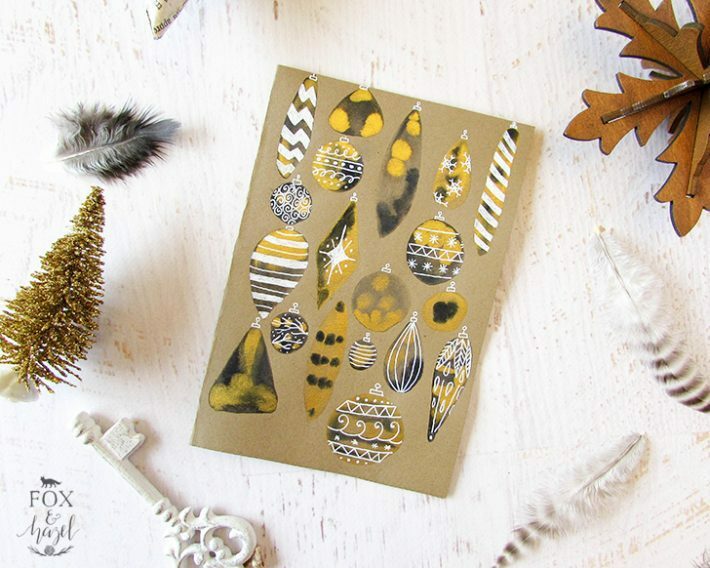 So this tutorial is great if you’re into sending out handmade cards like me. 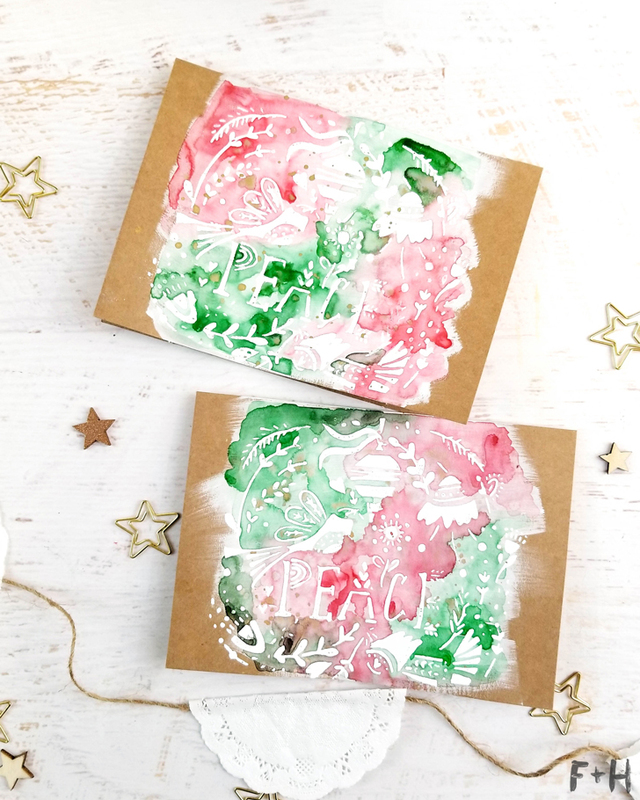 Check out the video below to watch how you can use one stencil in two different ways for some quirky holiday cards everyone on your list is sure to love! Thanks for the kind works Arianna! Super cool! Love the kind of almost dreamy quality you got with the watercolors and emboss-resist. I am in love with these cards. I have different stencils from stencil girl, but I am going to try this technique. This would definitely work with any stencil – I can’t wait for you to give it a try! Love the line work to make the stencil pop. Thanks Kathy – the details really make the card shine! these are really lovely and they look so different! It’s amazing how one stencil can be the starting point for two different end results! I love how diverse stencils can be. the watercolor gives your embossed stenciling such a unique look. Nicely done. Thanks Ineke! I love the pop of white against the kraft. Love how the colors are mixed together. Such a down home project! Love me some folksy goods! I really like the plain white ones. They really brighten up the Kraft cardstock. I like both these cards, but my favourite is the watercolour card. I’ve just started using embossing ink and powder so this is a great project to practice on. Thanks for the inspiration! 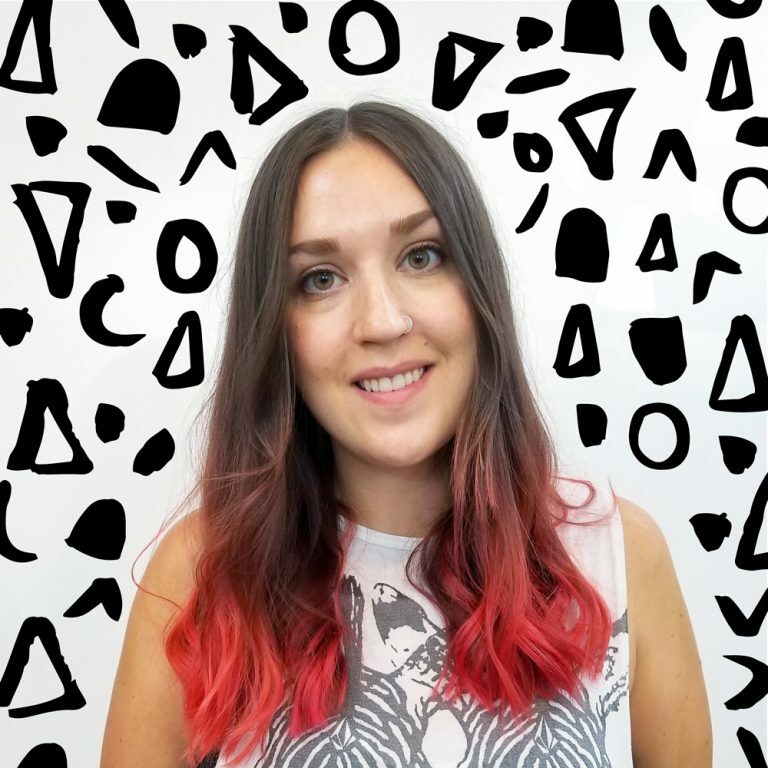 So glad it sparked some inspiration for you Jakki! These are Beautiful Torrie, anyone would be super lucky to receive one of these hand made beauties for sure !! Thank you Sherry! I’m glad my family and in-laws enjoy them because that’s all they ever get these days haha! Thanks for the tutorial, homemade cards are always the best! Homemade cards really are the best! I love the finished look of these. Thanks Patty – I love making cards too! 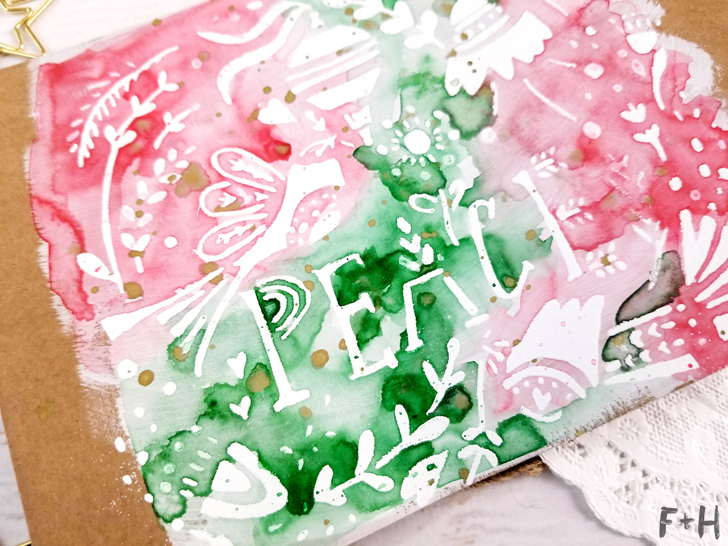 I have used watercolour with stencils before but not with this embossing technique – I’m definitely going to try this. Yay, I hope it turns out beautifully for you Maurene! I love these! I never thought to use embossing as a result for watercolors! I’m excited to try it! And the doodles! Love that! Thanks for the inspiration! I do make us and made cards every year. 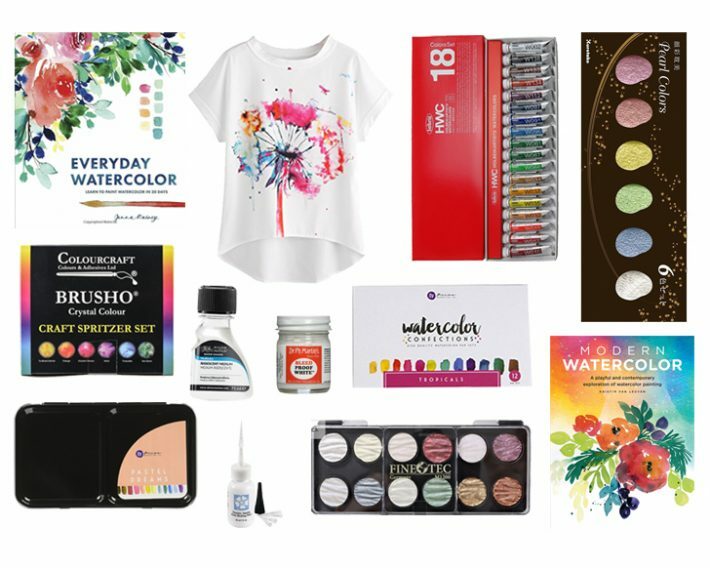 It will be nice to try some new techniques! It works awesome as a resist! And hooray for handmade cards! Loved the tutorial from the other StencilGirllBloghop but this is also very, very inspirational and beautiful. Next week I am going too start with making Christmascards and I will give this a try, thanks for sharing. Thank you so much Sylvia – I hope it works for you! Love the hand crafted look of these. What a great idea to use a white background. Love the the brightness it gives to your watercolours. Wow! I had to do a double take! These looked like printed cards. Your artistic expression here is amazing!